I'm not going to lie – there is a good amount of fear in me from the two things on my bike where I could gain a lot of time from around the track. Even on my 12-year old bike, I still think there is a lot of power that can go to the rear wheel at a moment’s notice when I get on the throttle too much too soon, so I know I am losing time out of corner exits as I don’t get on the throttle a lot harder than I can get away with. I may be accelerating out of corner exits early enough, but perhaps at a rate that’s too safe. That said, I’m probably even worse on the front brakes than I am on the throttle. I’m pretty certain I don’t brake hard enough around tracks. I don’t really know what to chalk it up to – maybe from my time on my 2005 Yamaha R6 trackbike awhile back, on which I learned the value of high corner speed, or maybe I’m just too chicken to really put the hammer down on the brakes. The former would historically make sense, but the latter is more intuitive-based, and thus more likely. Ever heard of panic braking or emergency braking? Both basically find the rider in situations where they must brake really hard to avoid an incident. Well, the problem with me and the brakes is that this is the situation (and sensation) I equate hard braking to: It is a situation in which I did not intend, and so I react (with the brakes) for self-preservation. Therefore, this has been counter-intuitive to my principle of riding smoothly and in control around the track, getting on the brakes a lot sooner to set myself up for the corner, and staying away from having to brake too hard. Of course, I know that hard braking for a corner around the racetrack is not just an emergency situation that calls for self-preservation, and that braking hard does not have to mean losing control over your riding. But despite understanding, I still have to re-wire myself to accept this. 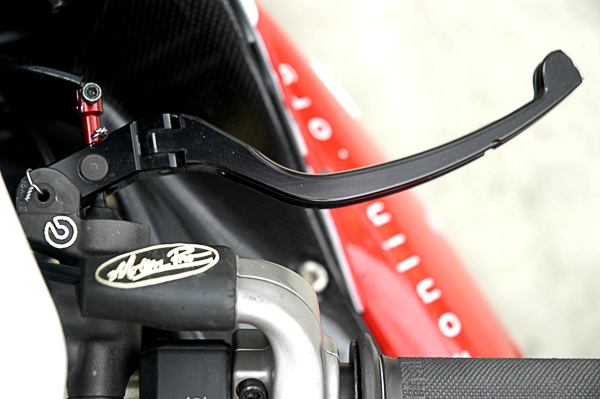 The front brake: Another tool to help your speed. The truth is I know how invaluable the front brake can be, far from just slowing or stopping the rider and the bike. 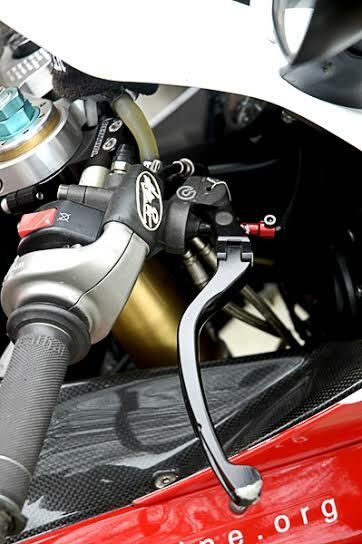 Depending on how it is used, the front brake can actually improve the speed in which a rider gets around any given track. Trail braking is a riding and driving technique that simultaneously makes for easier steering and scrubbing off speed for a particular corner. Given the dynamic nature of a vehicle’s suspension, applying any amount of the front brake will shift the weight forward onto the front wheel via load transfer, compressing the forks to alter the steering geometry to aid in steering, while effectively increasing the contact patch from the front tire (more grip). Trail braking is a pretty advanced technique as the user must be cognizant of decreasing brake pressure as lean angle increases, and the transition must be done in a smooth manner. Too much brake pressure as you turn in and the front tire could lose grip as it tries to do too much of both things, and immediate weight transfer from releasing the front brake abruptly when already leaned over can also upset the suspension to yield as catastrophic of a result. It is a delicate balance to master. But such is the nature of sport-riding – we are at our most effective when straddling that delicate line.